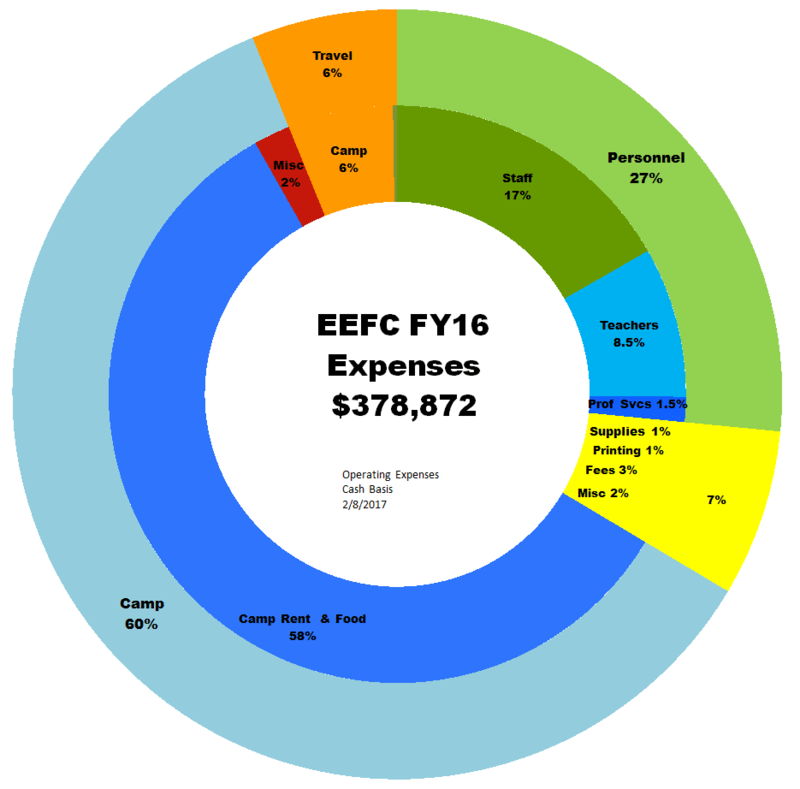 The EEFC fiscal 2017 year ended in September. 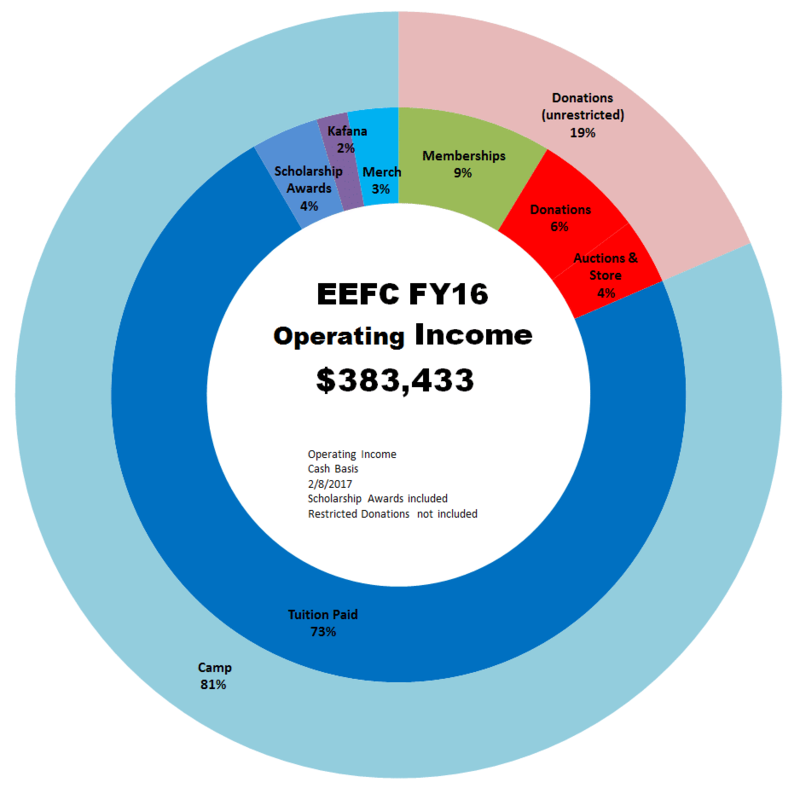 These charts summarize the EEFC’s FY17 operating income and expenses. Scholarship donations and other restricted income are not included. 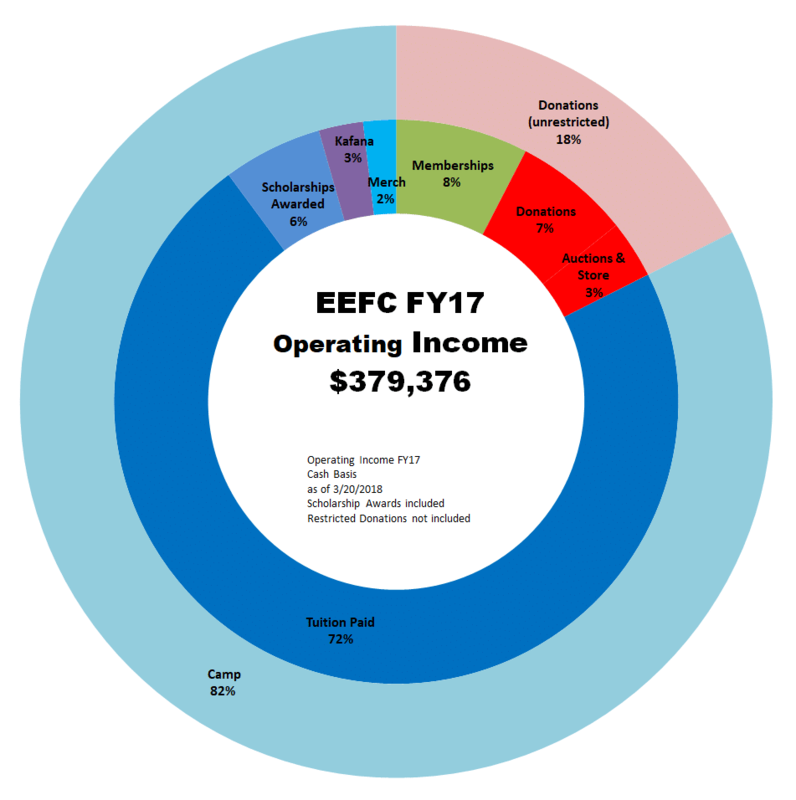 EEFC had an operating deficit of $14,030 in FY17. We had budgeted for a deficit of $12,000. We ended the fiscal year with assets of roughly $186,212 compared with $176,000 in FY16. We received scholarship and nest egg donations of approx $33,587- restricted income that is not included in the operating budget until it is awarded. 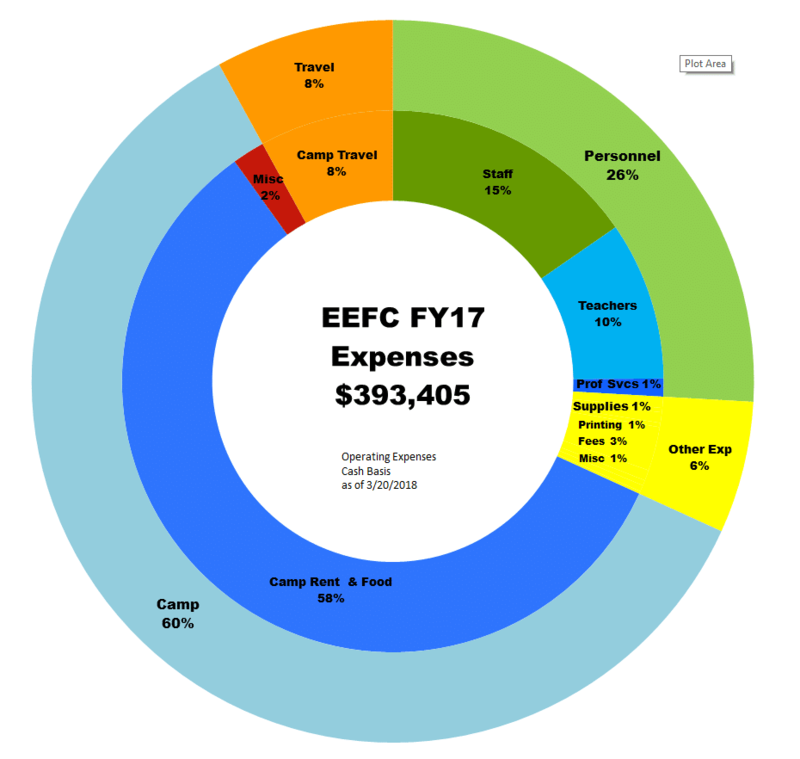 Prior year FY2016 charts are here. 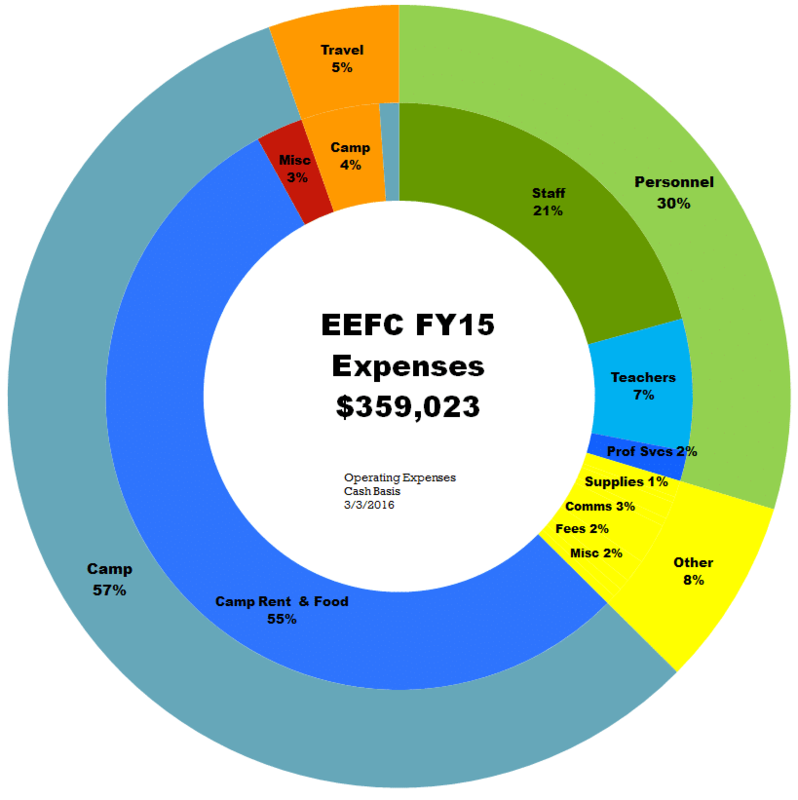 FY2015 charts are here. 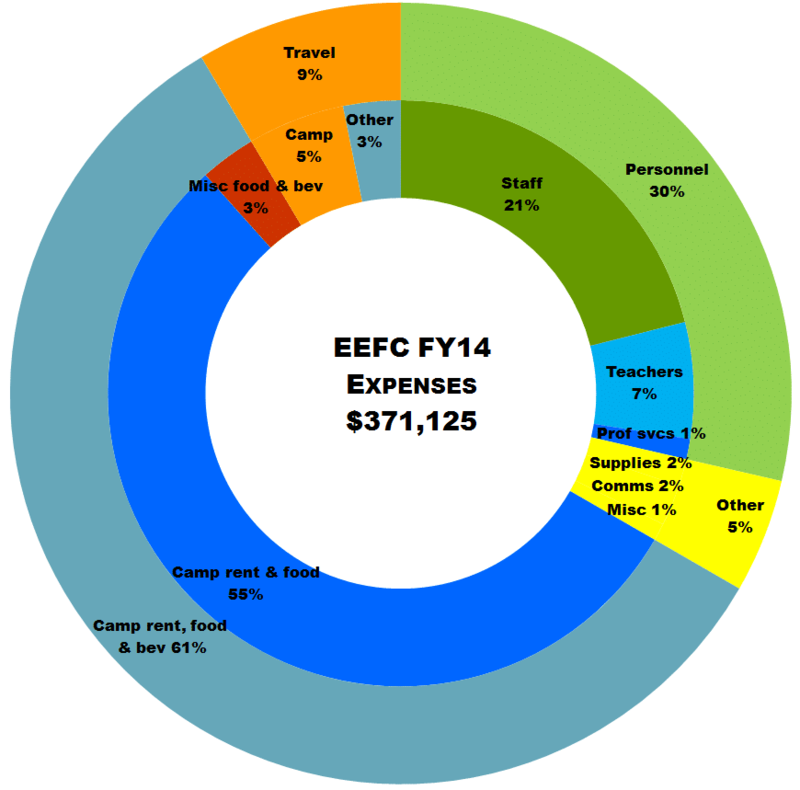 FY2014 charts are here. FY2010-2013 charts are here. Inner rings have more detailed categories, outer rings are summary categories. 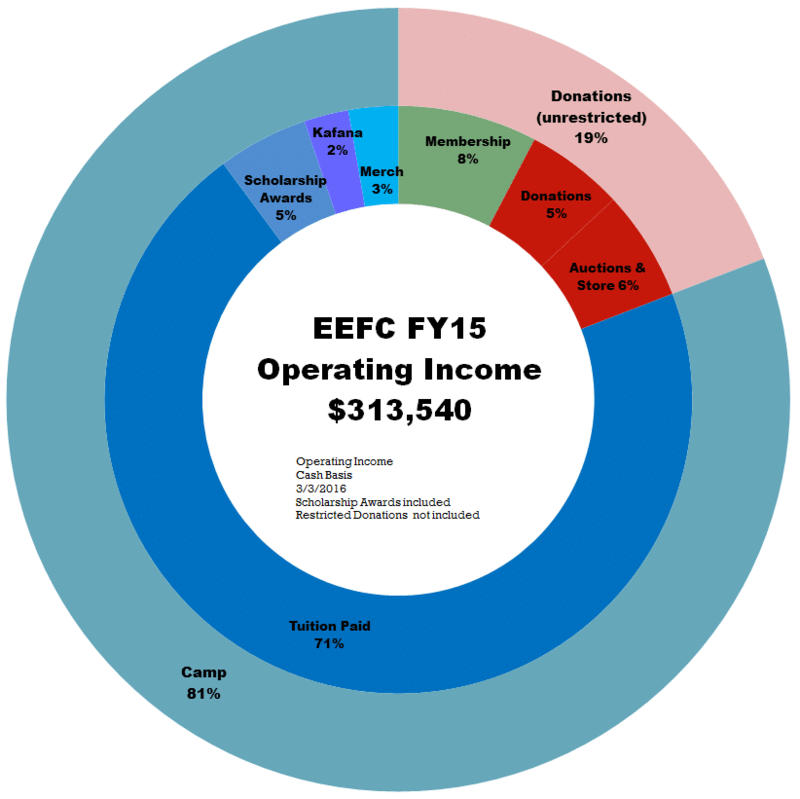 Changes in categories are a result of changes in EEFC’s budgeting and accounting procedures. Questions or suggestions can be emailed to the board liaison at board@eefc.org. Operating income includes scholarships awarded in FY17. Prior to FY15, scholarship awards were included in the Tuition slice. 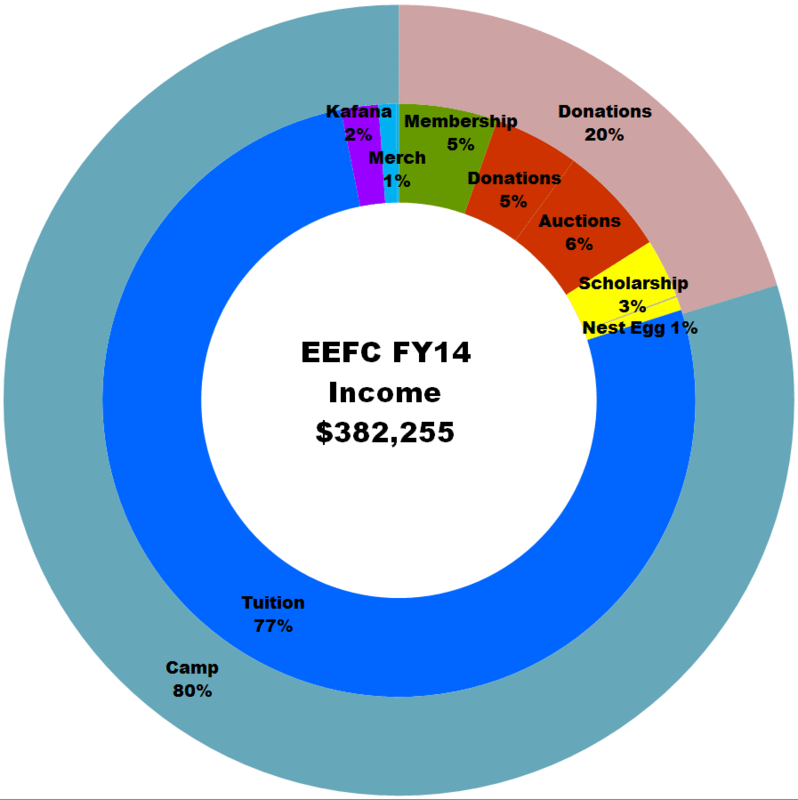 Categories: Board Reports, EEFC News.